My beloved husband will wonder what this has to do with Ireland or the Irish as is the focus of this blog. Truthfully, not much. Although I could contrive a connection or invoke the Irish proclivity for social justice. But I won’t. A clerk at the grocery store today asked me how many trick-or-treaters we got this year. None. 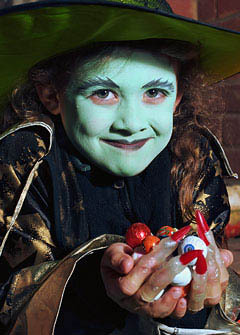 In the 37 years we have lived here, we have only once had small costumed visitors. I told the clerk it was due to our remote location and long drive way. True. But the larger truth is I am glad of it. For I cannot participate in this annual candy ritual. Set aside for a moment the issues of corn starch and obesity. The real reason is that while our children clamor for the candy and especially the all-prized chocolate this comes at a horrific price. The tragic irony is that while our children are dying for chocolate other children are dying because of chocolate. 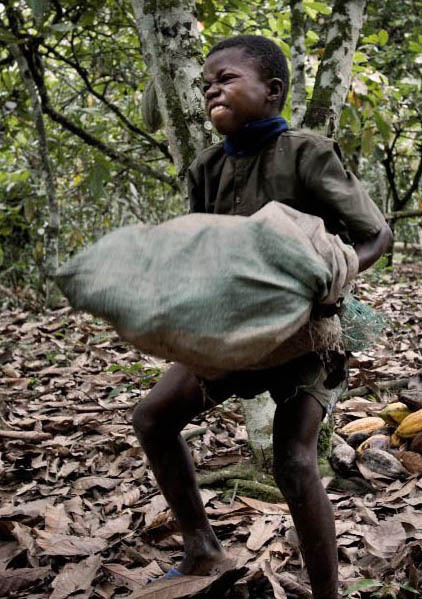 A Tulane University study found that between 2007 and 2008 nearly 820,000 children in the Ivory Coast and over 997,000 children in Ghana were enslaved in the cocoa industry. Slave traders target young boys between the ages of 6 and 16. These children are kidnapped or purchased from their parents, generally with false promises of food and education. But they are in fact sold to cocoa farms where they are forced to work long hours without pay, starved, beaten, locked up at night, bound, tortured and, in many cases, killed. Who, you might ask, would buy chocolate from these farmers? Hershey, Nestle, and Mars who account for 35% of the global chocolate production. And there are others. Yes, the supply chain can be difficult to trace. But choosing not to look too closely or just look the other way comes at an unconscionable price. It gives death by chocolate a whole new meaning.